We don't have any photos yet of Northern Exposure. You'll get some idea of the interior from these until we can post some of our own. 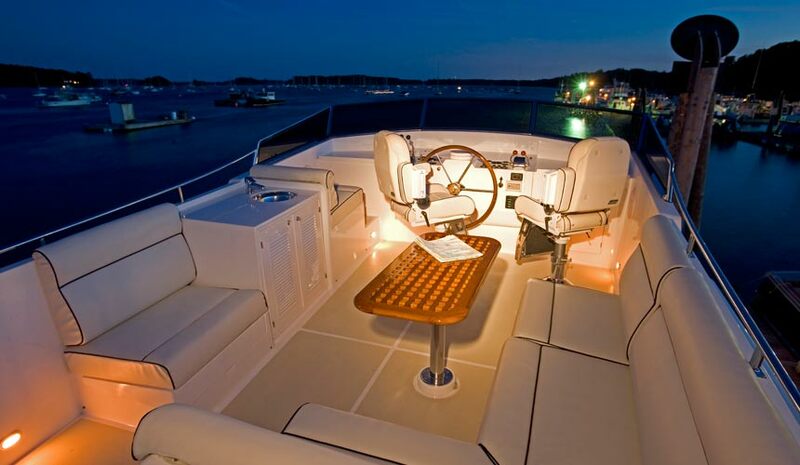 To see the boat's layout, click here. to view each photo and its description. Click a thumbnail to lock the photo for a longer look.